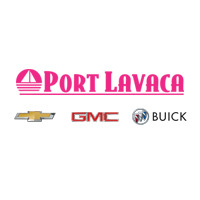 Port Lavaca Chevrolet Buick GMC is the preferred dealership of Edna! Whether you’re looking for a new Chevy, Buick, or GMC, we have the car for you! We recommend you check out the new Chevy 2500, Chevy Tahoe, and the Buick Enclave. Our large new and used car inventory, friendly staff, and timely service makes us the best choice for all shoppers. We look forward to meeting y’all at our convenient showroom near Edna, Texas. Check out our reviews and see for yourself why Edna residents have been trusting us for years. We are conveniently located at 1501 State Highway 35 S Port Lavaca, TX 77979! See y’all soon!